Horse racing is an ancient sport dating back to about 4500BC. Horses were used as a form of transportation by the nomadic tribesmen of Central Asia who first domesticated the horses. Horse racing as a sport started when the Greeks created a game involving horses mounted to chariots or two-wheeled carts. Chariot and mounted horse racing was included in the ancient Greek Olympics. The sport was also popular in the Roman Empire and Egypt. Horse racing became a sport of formal competition at the thirty-third Olympiad when men appeared on the horses instead of behind and were called jockeys. The origin of the modern horse racing can be traced in the 12th century in England. Knights returned from Crusades with Arab horses. The English nobles would privately wager on the fastest horse during match races. Since then, the sport has flourished as the sports of kings. 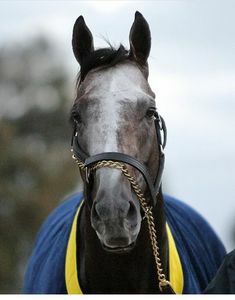 Horse racing became an organized sport for all civilization around the world. Modern day horse racing are held at horse racetracks. There are many top-class horse courses around the world. Today, horse racing is not just a sport but one of the few forms of gambling that is legal worldwide. People can indulge in the tradition and they can place their bets at horses around the world online. The horse racing sport was established in the North America in 1665, almost two centuries before it was popular in the UK. The first racetrack was built in the same year under the supervision of New York’s colonial governor, Richard Nicolls. But it wasn’t until the later half of the 18th century that it gained a proper organised form. In 1890 there were 314 tracks in operation for thoroughbred racing. The organized horse racing in the USA started after the civil war. Horse racing in the US is a multi-billion dollar industry. Racing is supplying jobs to hundred thousands of Americans and major source of tax revenue for many States. 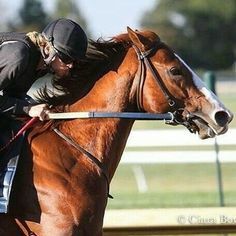 Horse racing in the US features some of the most important races in the world including the annual Breeders’ Cup and the Triple Crown (Kentucky Derby, Belmont Stakes and Preakness Stakes). This is the second richest horse race in the world with $5,000,000 purse. The most prestigious race in the Triple Crown is the Kentucky Derby with $2million purse. The second leg is the Preakness Stakes with a $1million purse. 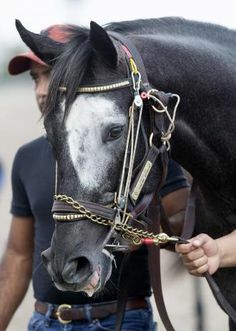 The third leg is the Belmont Stakes which is the oldest in the Triple Crown that dates back to 1867 has a $1million purse. 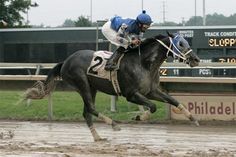 Horseracing enjoyed complete freedom in the US for more than a decade as bets are made through the racing wagering systems. Online horseracing betting is a legal form of Internet gambling. Betting is regulated by each state through the legal pari-mutuel gambling third parties. 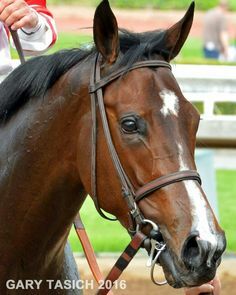 The states which allow horseracing bets are: Arkansas, California, Colorado, Florida, Idaho, Illinois, Kentucky, Louisiana, Maryland, Massachusetts, Michigan, Montana, New Hampshire, New York, North Dakota, Ohio, Oregon, Tennessee, Virginia, Washington, West Virginia and Wyoming. South American has the tradition of producing tough and durable thoroughbreds. Many world-class horse racetracks exist in South America, but this sport is not so famous in South America compared to other parts of the world. The most popular horse race that can be found in South America is Gran Premio Carlos Pellegrini in Argentina which draws audiences from all over the continent. This race takes place in Hipódromo de San Isidro the biggest racetrack in both South America and North America which was opened in 1935. The track has 2,783 meter long turf where 1,000-meter long races are held. The Hipodromo La Rinconada in Caracas, Venezuela is notable for the Gran Premio Clásico Simón Bolívar. This is one of the most modern racecourse in the continent that can accommodate up to 12,500 seated people. It houses a Museum of Arts, and the famous Alejandro Otero El Polyhedron. It also hosted concerts and has attracted more than 60,000 people. The Hipodromo Nacional de Maroñas in Montevideo, Uruguay is an old racecourse that was opened in 1874. It has a 1.28 mile main dirt track and 1.24 training track. Local horse races are held every weekend. The most notable of the races held on this track is the Gran Premio José Pedro Ramírez. This is a Group I flat race for three-year-olds and up, run over a distance of 2400 metres held every January 6. Horse racing in Europe has a long and glorious history which dates back in the early 18th century particularly in the United Kingdom, France and Ireland. The most popular form of horse racing in Europe is the steeplechase – the race which involves obstacles either hurdles or fences. Many of the horse racing sports rules and regulations were established in the United Kingdom in the 17th to 19th centuries. Horse racing in UK is predominantly thoroughbred flat racing and steeplechase. The most famous horse racing course in the UK is the Aintree Racecourse it’s the home of the definitive National Hunt steeplechase and the Grand National which is considered the most difficult steeplechase in the world (30 fences spread over the distance of 7,242 meters). France has a mature horse racing industry dating back to 1879 when the Chantilly Racecourse was built. The Qatar Prix de l’Arc de Triomp held in Longchamp Racecourse is one of Europe’s biggest horse-racing events. This 1 1/2-mile race has been held almost every year since 1920. Every first Sunday of October thousands of elegant spectators fill the grandstand and nearly a billion people in over 30 countries watched it on television and online. It is the third richest horse race in the world with $5.4 million purse. Ireland has a rich history of horse racing and breeding, according to a legend the first chase occurred in Ireland in 1752. The steeplechase was established as an Irish sport by the early parts of 19th century. Point to pointing originated in Ireland and today it is more popular than flat racing. Curragh Racecourse, the oldest racecourse in Ireland begin its operation in 1727 and had been witness to the five classic horsing events: Irish 1,000 Guineas, Irish 2,000 Guineas, Irish Derby, Irish Oaks and the Irish St. Leger. These races have the highest purses in the country. The Australian thoroughbred horse racing industry ranks #3 in the world. Australia has more racecourses than any other nation in the world today. The most important horse race in Australia is the Melbourne Cup, also known as the Race That Stops a Nation it’s the second richest horse race in the world with $5.65 million purse. The first Melbourne Cup took place in 1838 and it is known as one of the greatest challenging handicapped horse races in the world. Other notable races include Cox Plate, Caulfield Cup, Oaks, Golden Slipper and the three AJC Queen Elizabeth Stakes races. Randwick Racecourse is famous in Sydney horse racing as it hosts the Queen’s Plate. Horse racing has been a part of the Asian culture for millennia. It was a popular pastime for the aristocracy in Zhou Dynasty in 4th century BC. Horse racing and equestrian sports in Asia was dominated by Mongol influence. Horse racing is an established sport in Asia although there are fewer world famous horse racing courses compared to other parts of the world. Racing events are conducted in many countries across Asia including Japan, India, South Korea, Philippines and United Arab Emirates. The riches horse race in the world with $10 million purse happens at the Meydan Racecourse in Dubai, UAE. There are three types of horse racing in Japan flat racing, jump racing and draft racing or Ban’ei. Japan conducts more than 21,000 horse races a year with a total of 30 racetracks. The races are conducted by the Japan Racing Association and National Association of Racing. The top stakes races run in the spring, autumn and winter. Japan Cup an invitational turf race run every November at Tokyo Racecourse is the country’s most prominent race with a purse of about $5.6 million. Horse racing in India is over 200 years old, making it the oldest racing jurisdiction in Asia where racing was conducted under rules. The first racecourse in India was set up in Madras in 1777. There are five Classic races in India: the Indian 1,000 and 2,000 Guineas, Indian Oaks, Indian Derby and the Indian St. Leger. All four run in Mumbai while the St. Leger is run in Pune. Today, India has a very well established racing and breeding industry. Horse racing in the Philippines began in 1867 as a recreational activity for the rich during the Spanish colonization. The Manila Jockey Club was founded by the Philippine Governor General Jose de la Gandara y Navarro with 100 founding partners, it was the first racing club established in the Southeast Asia. The history or horse racing in the Philippines was divided into three divisions according to the breed of horses used and the three significant eras of Philippine history. The English-style horseracing was first used in 1881 in the oval of Hippodromo de Santa Mesa. Betting on horse races was permitted in 1903 and people from all social strata were allowed to go to the hippodrome to watch horse races. At present there are two venues for horseracing, the Manila Jockey Club and the Philippine Racing Club. The Philippine Racing Commission is the government mandated regulating agency.